The following is my letter published in the Wasatch Wave on June 21st, 2017. Editor: Like many in our community I was saddened by the demolition of the historic home in front of the Karl Malone dealership. I have also been saddened by allegations of corruption and greed and would like to share my perspective on this issue. I was not aware that the home was being torn down until I was literally driving down Main Street and saw it partially gone. At approximately the same time I received an email from the city manager explaining the situation. Karl Malone had anticipated saving the home and even spent money for improvements after they purchased it. Ultimately they were not able to keep the home on the lot per contractual requirements with Chrysler for the construction of their new building. They sought bids to move the home, estimated at over $500,000, and as I understand it, they even offered the home to others for free. They were unsuccessful in finding anyone who would move it and ultimately decided to demolish it. As Heber’s land values increase and our population grows we face the possibility of losing some of the things we love most about Heber. It is time to be proactive and have community conversations about what we want to preserve from our past and how we can accomplish it. In a community that highly values private property rights the way to save historical buildings is through incentives. It is possible that with public effort, state and federal tax incentives and a collaboration of public and private money this beautiful building could have been moved and saved. It is also possible that the costs would have been too high and the community would have reluctantly agreed it could not be saved. Then we could have done what Pleasant Grove did recently and allowed people to take photos and celebrate the history that building represented. We can benefit from what has worked in other cities. Heber needs to adopt a Local Historic District to identify buildings and sites that are of historic significance. 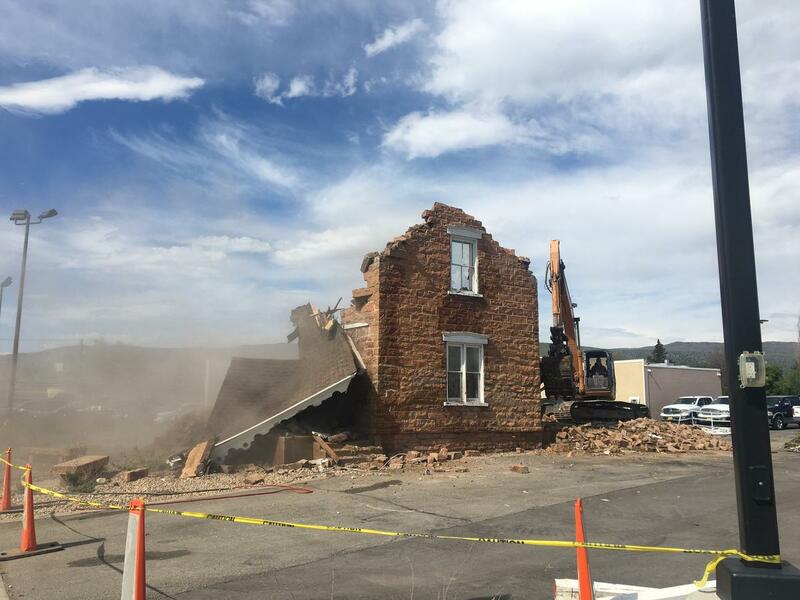 Local architect Clayton Vance has identified over 100 buildings in the core part of Heber that might qualify for this designation. Then we can take advantage of programs and funding from sources such as the Utah Heritage Foundation or the National Trust for Historic Preservation. There is funding available to help communities like ours preserve structures that represent our unique history. With vision, collaboration and proactive decision-making we can learn from the loss of this beautiful historic home and honor the past while we plan for the future. Feel free to contact me anytime. I would love to hear your ideas of how we can improve our community .